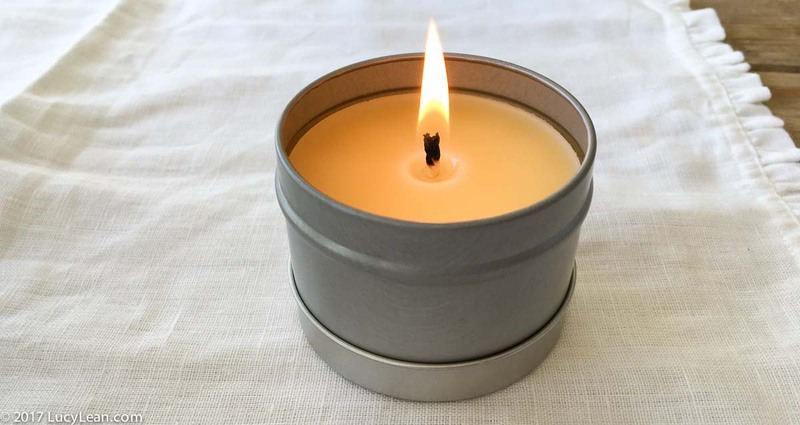 Nothing better than packing a little Beeswax Travel Candle to instantly add luxury and clear the air at your destination – be it a fancy hotel room or a cheap and cheerful Air BnB. They are very easy to make – buy a few key items online using the links below and before you know it you will be making up candles and giving them to friends. Let me know in the comments section below how you get on. Last night I hosted Rosé Corner to celebrate the launch of this website and my new venture. It was an excuse to get a group of great friends together for food, laughter and lots of rosé. I made little Beeswax Travel Candles to give to my guests. 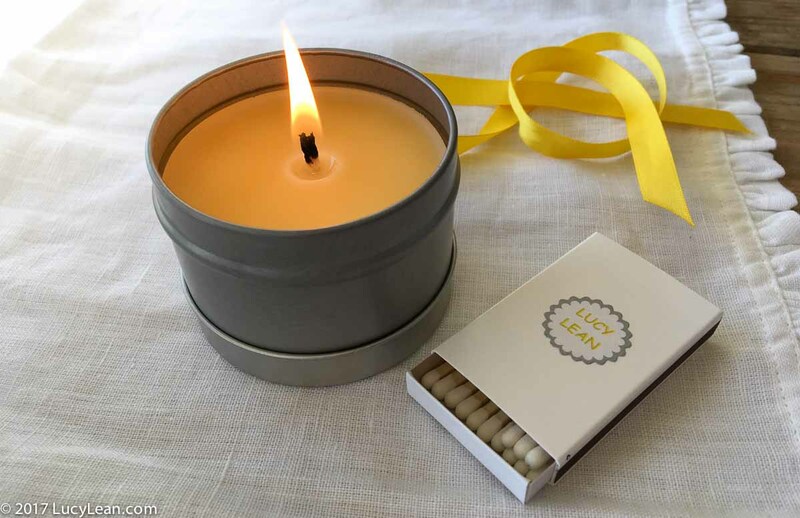 A little present for everyone to take home with them – Beeswax travel candles and a little box of matches. I love packing a candle in my suitcase when I’m going on a trip because it instantly transforms any bleak hotel room into something more cozy and luxurious. 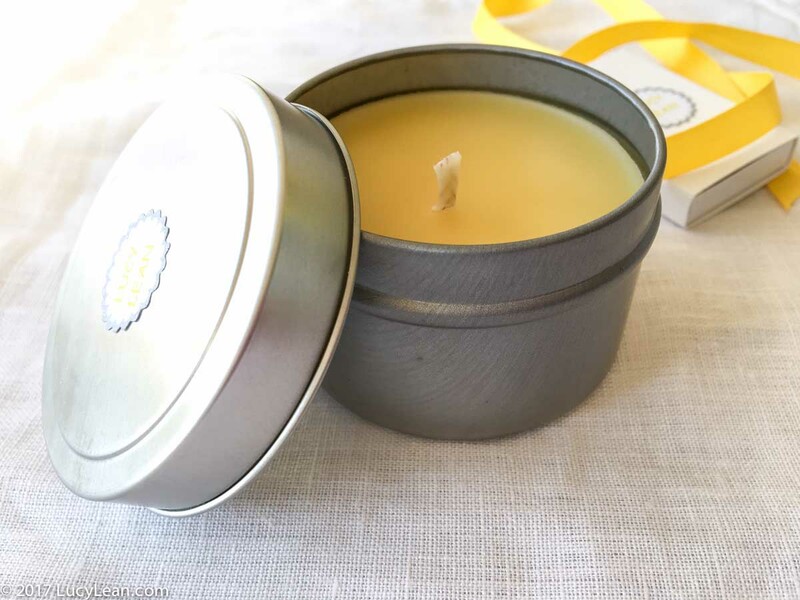 Plus beeswax has amazing properties like releasing negative ions into the air and helping to clear the air of positively charged ions such as dust, pollen and pollutants. Not only will the air be improved you will also drift off to sleep breathing better – nature’s solution to insomnia. 2. Glue wick to the bottom of the tin in the center. Fill tins with the beeswax pellets. Add wick holder to center wick if using. 3. Place the tins in an ovenproof dish and put in the preheated oven. 4. Check to see if the wax has melted after 30 minutes. Keep checking until the wax is liquid. Mine took almost an hour to melt to a beautiful honey colored liquid. Add extra pellets as the beeswax melts until the tins are filled to the line. 5. Remove tins from the oven and turn off heat. If not using wick holders check that the wicks are centered as the wax cools to a primrose yellow. 6. Return tins to the cooling oven and let the candles cool. 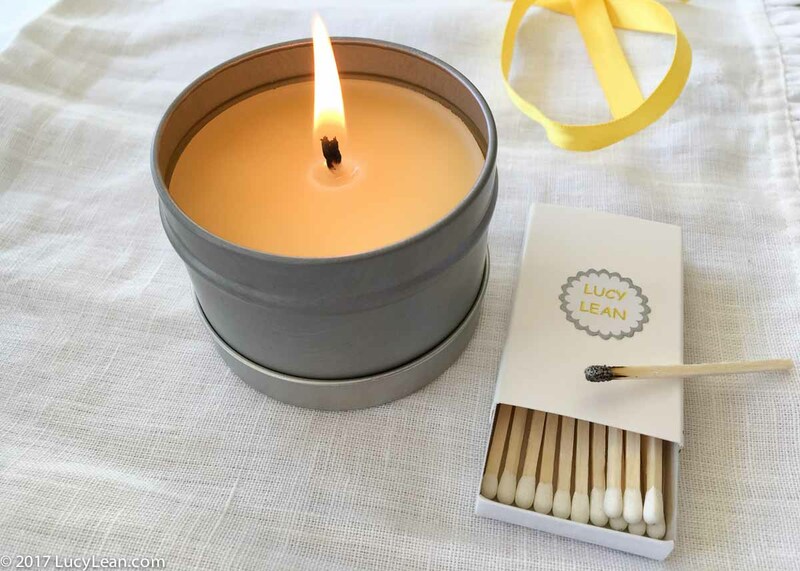 This prevents the beeswax from extreme cracking – which happens if the candles cool too quickly as the wax shrinks away from the edges. Alternatively you can top off the tins with a little extra wax to fill in any cracks and smooth out the top. Once you light the candle the cracks disappear anyway so don’t get too caught up in trying to fill them in. 7. When the candles are completely cooled remove wick holder, trim the wicks and put lids on. 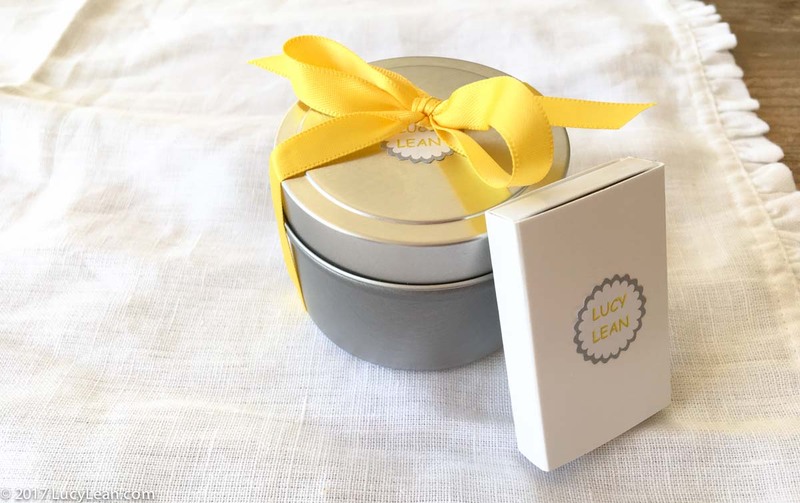 Add some stickers, a box of matches, a ribbon and you have the perfect homemade gift. Light a candle, say a prayer, relax, meditate, show gratitude and know that your air is being purified with every breath you take. WARNING – never leave a candle burning unattended or into the night as you fall asleep. Place candle in a saucer of water just to be on the safe side and blow it out just before your head hits the pillow. Sweet Dreams. What tricks do you use to get a good night’s sleep?